Hamlyn Park Tennis Club AGM – Reminder tonight! 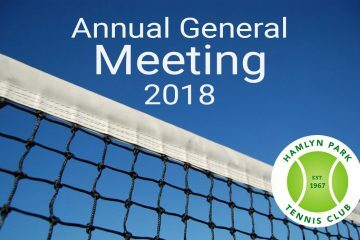 A friendly reminder that the Hamlyn Park Tennis Club AGM is on tonight from 7:30pm Click here for details. Just a friendly reminder that the Hamlyn Park Tennis Club AGM is being held this Tuesday evening starting at 7:30pm. Click here to view the details.